I’ve complained a lot about the Google Maps app on Android lately. 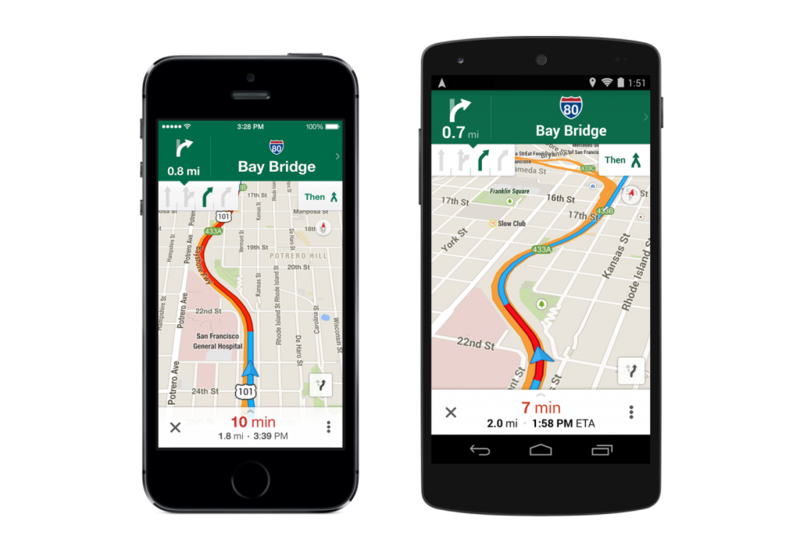 Offline maps were gone, the nice navigation interface while driving was gone, favorites were gone, simple access to alternate routes was gone, distance measurement via ruler was gone. Voice input isn’t working well anymore, and it seems to require a touch to actually start navigating. In fact, I didn’t update to the latest version for a long time. I kept an APK of version 6 around on my device so if I accidentally updated Google Maps to version 7, I could uninstall the update and update to a version I liked. Yesterday, I updated to Google Maps 8.0 on my phone, and I actually like it. Alternate routes are a button away again. Lane guidance is cool and probably useful (although I’ve found that on the Boren-Westlake-Denny intersection, it’s a bit misleading: if you want to go down Westlake, you should be in the right lane on Boren). What I like the best, though (and I’ll try to get a screenshot of it at some point), is that Google Maps now displays traffic on nearby streets as thin colored lines. They help me decide if I want to quickly turn into an alternate street if I see cars backing up on the street ahead of me. I haven’t exactly tried out how well favorites, voice input, and offline maps work. I now have direct links to most of the places that I want to go to just on my driving dock, so I don’t need favorites as much anymore. Voice input is still important — I’ll try that out the next few times I’m driving. And offline maps isn’t really important anymore either, since I now use BackCountry Navigator for topographic maps when I’m hiking.